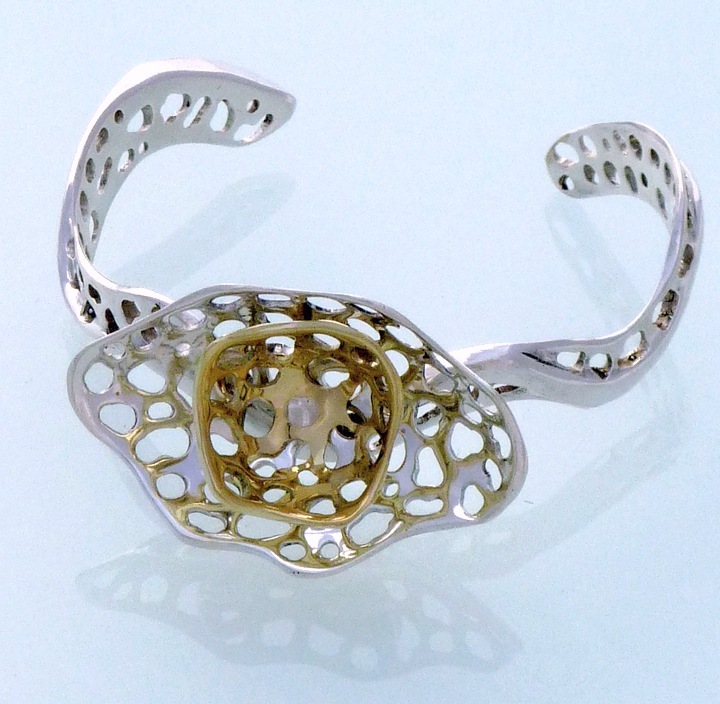 This is very similar to my original Gold and Silver Cocktail Bracelet. This one has more curves. Sits low and comfortably on the wrist. This piece was made to order.